I'm delighted to confirm that we have again been successful in getting a stand at this year's Lancaster Insurance Classic Motor Show. I was beginning to get concerned as we normally hear in May, but notification only came through very recently. 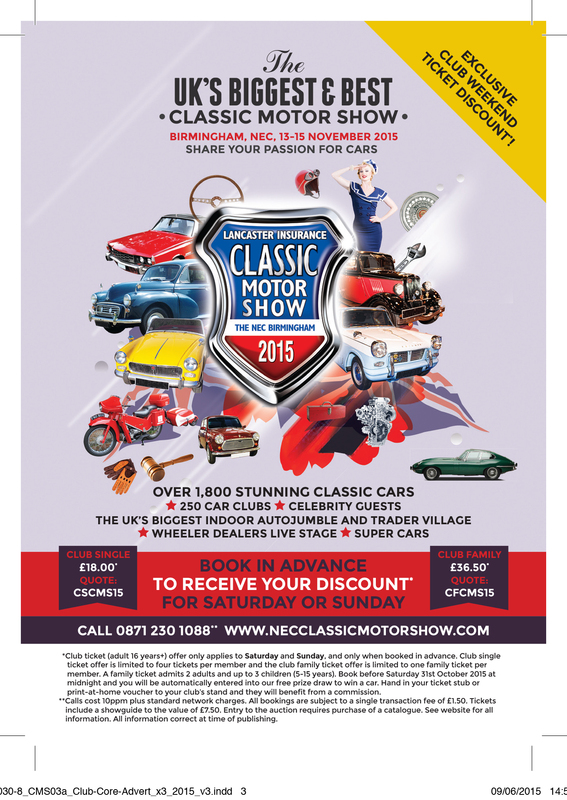 It takes place at the NEC from Friday 13 to Sunday 15 November 2015. This year we are in Hall 5 on Stand 5-868 and have been offered a place next to the LMC and the Monte Consortium who are back in the game after a one year sabbatical. Please come along to say hello and support us. Now comes my usual annual appeal for cars to display and help to man the stand. I normally get enough exhibitor tickets to ensure that everyone who displays a car or who can help on the stand for a day gets in for free. 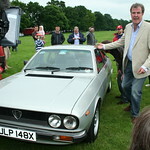 I need your cars, either original or modified, so that we can prove to the visitors of the show just what a fantastic car the Beta was and still is! So if you have a car that is good enough to display, please get in touch. Cars need to arrive Thursday from midday till 5pm and then remain on the show stand till the close of the show at 4.30pm Sunday. Call 0871 230 1088 to book tickets or online at www.necclassicmotorshow.com For our Forum Members there is an exclusive advance ticket offer giving £5 off the Sat/Sun door price. Please use the discount code at the bottom of the advert I will post (shortly). Please note that the organisers of the Show have requested that we do not pass this discount code to anybody outside of this forum. I will keep everyone updated on the stand as we head towards November. Hi John, good news of confirmation, RAC will be available as will I as I've booked time off work for the weekend. If you like, you can see the car after it's hibernation when I'm back from hols. Let me know if any good for you.how big is the stand? Well done John, after last years issue with the Monte Consortium, I did wonder if we might be next. Franco's car would be a great one to have as it looks great and has an interesting story! The other car which would be interesting to have would be Stuart's Spyder to show what can be done to mod the Twin Cam unit and still leave it suitable for road use. Can we get 3 cars on the stand? I see we are next to Fiat and X1/9 clubs which is all rather appropriate. Neil, any chance we can do away with the Berlin Wall between us and the LMC this year and have a more subtle border so that folk on the LMC stand can see us and vice versa? We could still manage a display board with photos etc, just not so tall and solid! good news, of course I still have no car, one day maybe I will be able to offer it for display fingers crossed for next year (?). Not wanting to get too far ahead but on the point of next year I believe 2016 is 40 years of the Fiat twin cam a golden opportunity for a huge combined display of various clubs cars?? The bodywork on Stuart's Spider isn't quite good enough - I don't want to spend the show having people point out the surface bubbling its got! I appreciate the thought though. I won't be involved with the NEC stand this year, but I'll ask the question. There has been a fair bit of grumbling about the stand allocated to the LMC I think. I'm helping at the Manchester show this year instead and may be showing my car. That has been set up by the old NEC organiser I understand, and seems to be attracting some good press. There seems to be a feeling that the NEC are cramming stuff in a bit? Certainly there was plenty of space last year given to dealers selling (IMHO) some rather over-polished stock. Possible at the expense of the more interesting or unusual. Thinking about it as I'm doing the bodywork on the car winter this year I might be up for having the engine on the stand though! 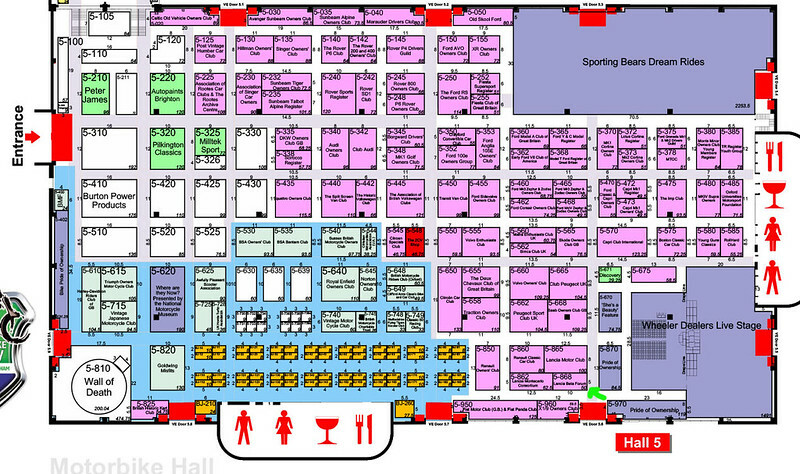 I understand the commercial side, but yes I too found the size of the traders area a bit overpowering. 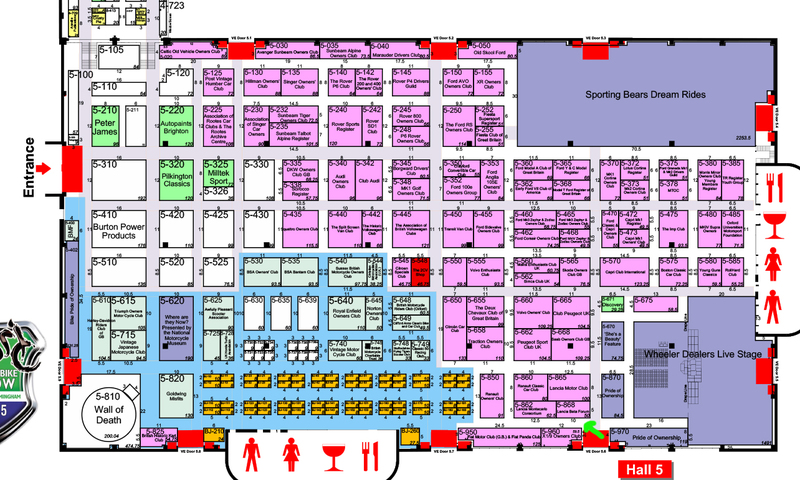 Do we have any plans yet as to what cars and who is setting up and manning the stand etc? Just dropped you a line about helping out with the stand during set up and the Friday. Yes please! As regards cars, we're struggling a bit. Could do with a few more owners being willing to show their cars. So far I've got a Coupe from Franco, and hopefully Brian's HPE assuming it passed its MoT! Anybody else with a car to show, please let me know. A Spider would be the obvious other? I know this is a longshot, but I still think some sort of updated engine would be an interesting option, just wondered if Darren's recent adventure could be mocked up as an exhibit? I agree that one in a car would be a better bet! I think a mockup engine would be a better bet, so not something for this year given the lack of time. If Darren is around at the show I will try to catch up with him and see if we can make up something for next year perhaps? It passed my mind about my vx engine which is still stuck on an engine stand, but aside from the fact it isn't posh enough the logistics of getting it there and back seem well shall we say rather difficult especially getting it in and out of a van without damage. 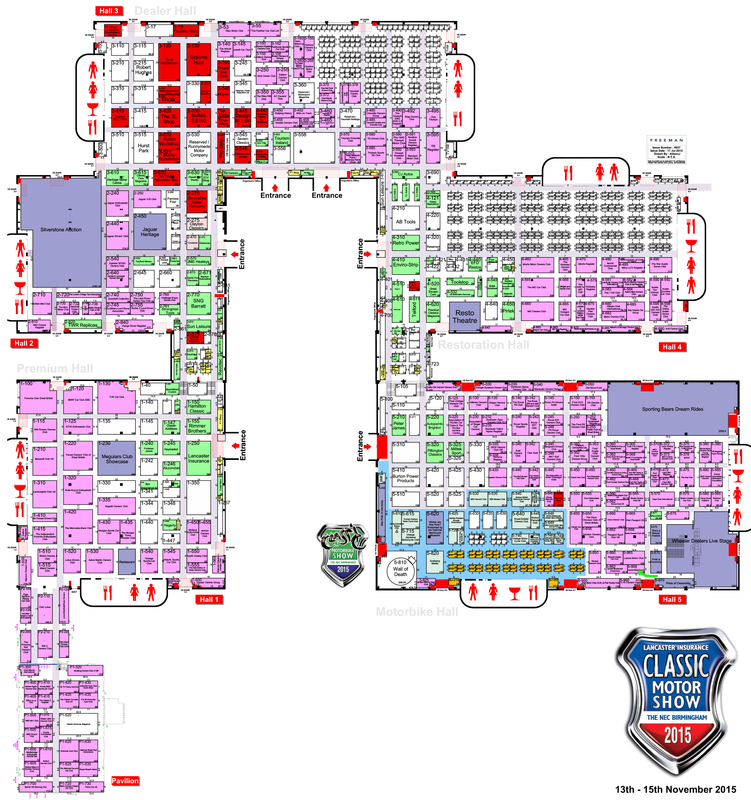 Only 5 days to go and I think were good to go, the show organizers have made a change to the Lancia stands layout, and now have a smaller stand. We are now the other side of a large door from the LMC. Or if your jus attending please come over and say hello! I'll see you on Saturday - if I had the whole day I'd lend a hand but I'm in Liverpool in the morning looking at an Alfa GTV !